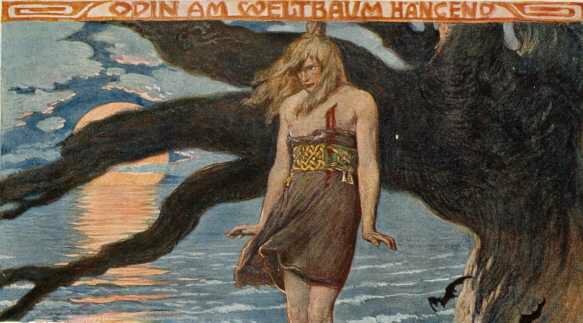 In Völuspá, Odin has hung himself, stabbed himself with a spear, and made a sacrifice of himself, to himself – all in search of knowledge that is unknowable to the living. There are many tales of Odin's wisdom-quests to the lands of the dead, and many are made on his eight-legged horse, Sleipnir. 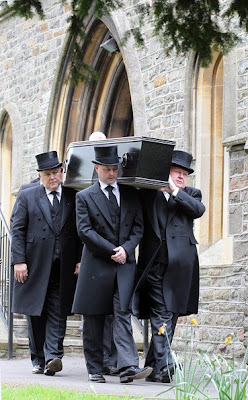 The strange number of legs is understandable if one pictures a coffin being carried to the grave by four pallbearers, two in front and two in back; the corpse "rides" to the grave on eight legs, much as Odin "rides" the World Tree. It is the horse Bagri Maro. The riddle's answer is that four pallbearers equal four heads and eight legs. Compare this to what Helene Adeline Guerber calls "the oldest Northern riddle": "Who are the two who ride to the Thing? Three eyes have they together, ten feet, and one tail: and thus they travel through the lands." In this context, the Thing is the meeting of the gods. One-eyed Odin riding his eight-legged horse equals three eyes, ten feet, and one tail. These two riddles, separated by vast distances of time and space, underscore both the concept of the coffin as horse and the idea of a hereditary connection (common or originating) between the Germanic tribes and the peoples of the Indian subcontinent. Hanging on the World Tree, Odin journeys to the edge of death and, as a result, he discovers the secret of the runes, the letter-characters that were used in the Germanic world for approximately the first 1500 years after Christ. When Odin says, "downwards I peered," the image is of looking down into the depths of dead, into the void of nothingness called Ginnungagap ("beguiling void") that existed before all else in the Norse mythic universe. He pulls himself back from the brink of death ("then I fell back from there"), returning from the very edge of nonexistence. As with so much of the mythic ideas around Odin, this seems to refer to some form of shamanic initiation ritual; the wizard must undergo a trial in order to receive knowledge of secret arcane wisdom. Runic engravings have been found in Germany, Sweden, Iceland, England, and even in Constantinople's Hagia Sophia mosque. 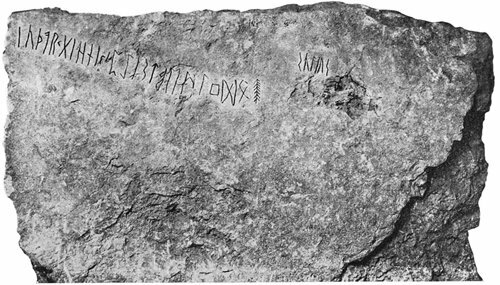 The latter has at least two attested runic inscriptions, both grafitti with the name of the Viking adventurer – the equivalent of "Halfdan was here." 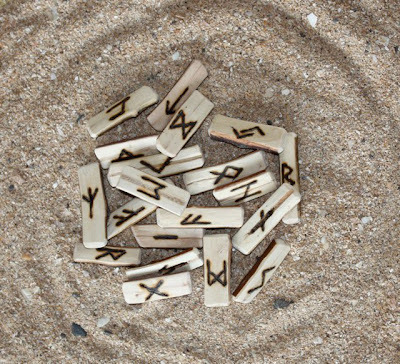 In other words, the runes were in use throughout the entire world that was inhabited (or even visited) by the migrating Germanic tribes. Runes are still around us today. 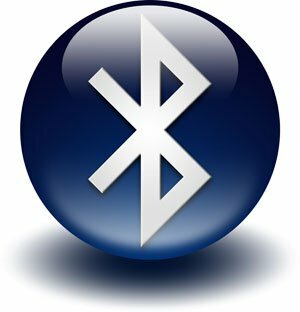 The Bluetooth technology that links wireless devices is named for the 10th century Danish king who united the disparate Danish tribes under his leadership. The communications corporation used his name as a symbolic representation of how their technology unites all digital devices under one protocol, and its trademark is a bind-rune that brings together the runes for H and B – Harald Bluetooth. 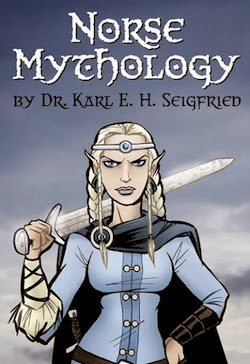 In this and other Eddic passages, runes seem to be clearly described as magically-charged symbols activated by staining or coloring them with blood or other colored dye. Also, in the Saga of the Volsungs, which tells the story of the dragonslayer Sigurd and the valkyrie Brynhild, the mystic warrior imparts runic wisdom to the human hero, instructing him on specific runic rituals for specific magical effects. This all seems to point to a definite tradition of runes for magical use. For further support for the magical explanation, we can turn to the Germania of Tacitus, written by the Roman historian in the year 98 AD and examine the passage in which he describes how the Germans "cast lots": "They cut off a branch of a nut-bearing tree and slice it into strips; these they mark with different signs and throw them completely at random onto a white cloth. Then the priest of the state, if the consultation is a public one, or the father of the family if it is private, offers a prayer to the gods, and looking up at the sky picks up three strips, one at a time, and reads their meaning from the signs previously scored on them." Most notably, this shores up the argument that each rune had meanings attached to it beyond mere letter-signification, as only three are drawn; mere letters obviously could not spell out very complex messages with only three characters. 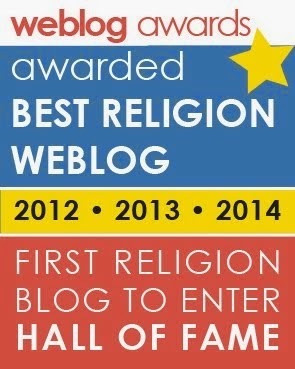 Interestingly, it also provides evidence that religion was often an internal family matter, where leaders of the family led religious rites instead of attending rituals led by a priestly class. “Runic engravings have been found in Germany, Sweden, Iceland, England, and even in Constantinople's Hagia Sophia mosque. The latter has at least two attested runic inscriptions, both grafitti with the name of the Viking adventurer - the equivalent of "Halfdan was here." This was the most hilarious thing I've heard all day and i just HAD to quote it in my mythology final. I think my professor will highly appreciate it! Vikings for the win!